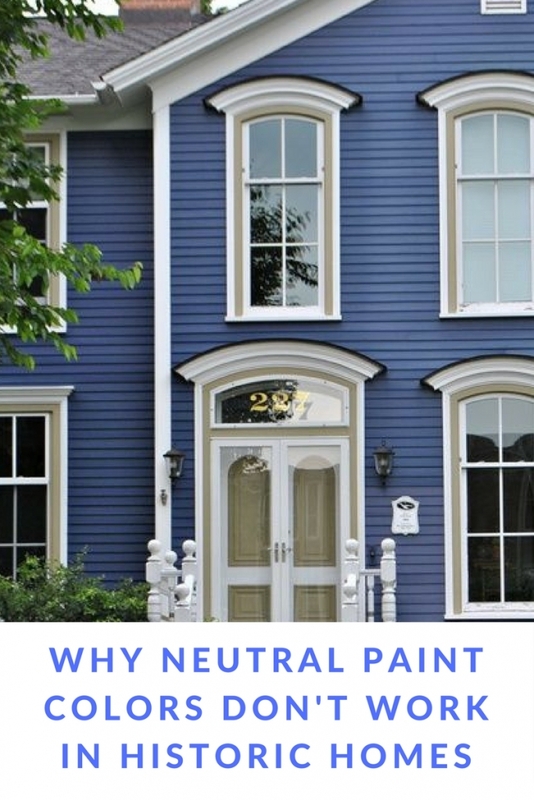 Neutral Paint Colors for Historic Homes? No Way! Time and again, I’ve seen people use neutral paint colors for historic homes. With very few exceptions, it doesn’t work. 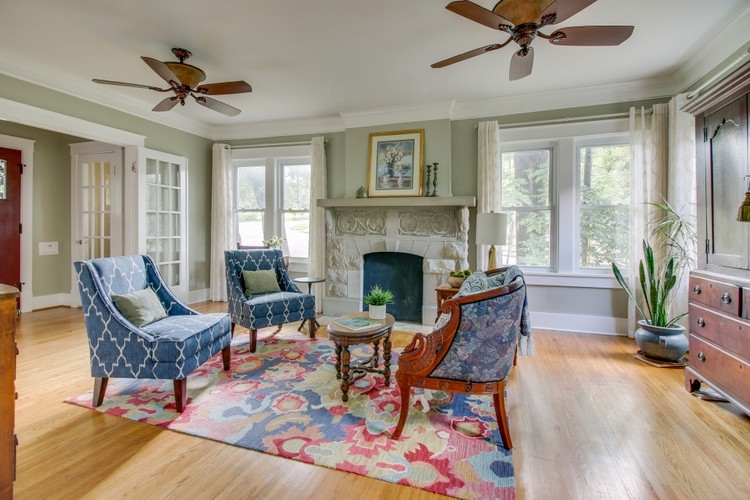 Beige and gray paint colors have been all the rage for go-to interior colors since the 1990’s. Not so much prior to that. Your grandparents and grandparents’ grandparents were looking to brighten up their dark interiors before electricity was invented, and beige and gray just don’t have that power. 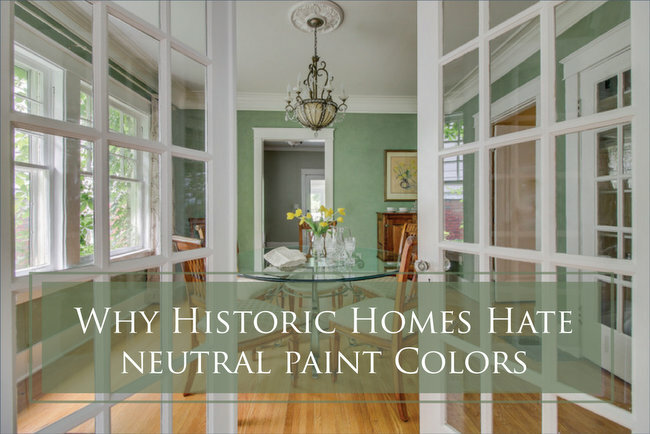 Brighter, bolder colors do, and that’s why historic homes were more often painted in vivid hues, including blues, greens, yellows, ochres, and reds. 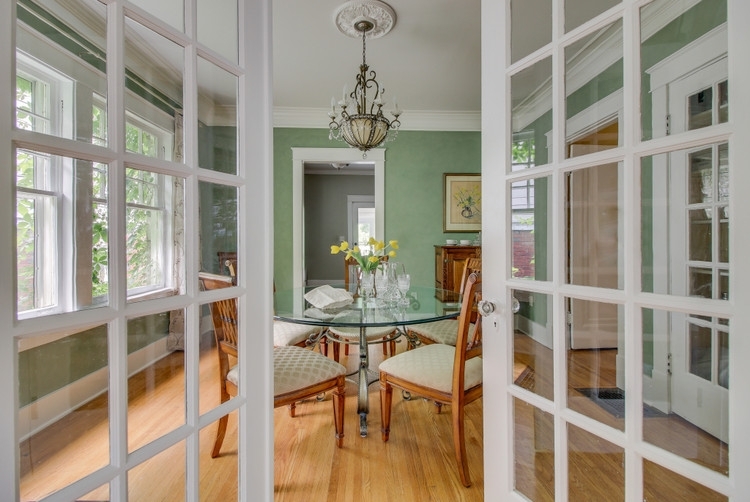 Older homes sported lots of stained wood trim, as well, and grays and beiges simply DIE next to lots of wood tones. 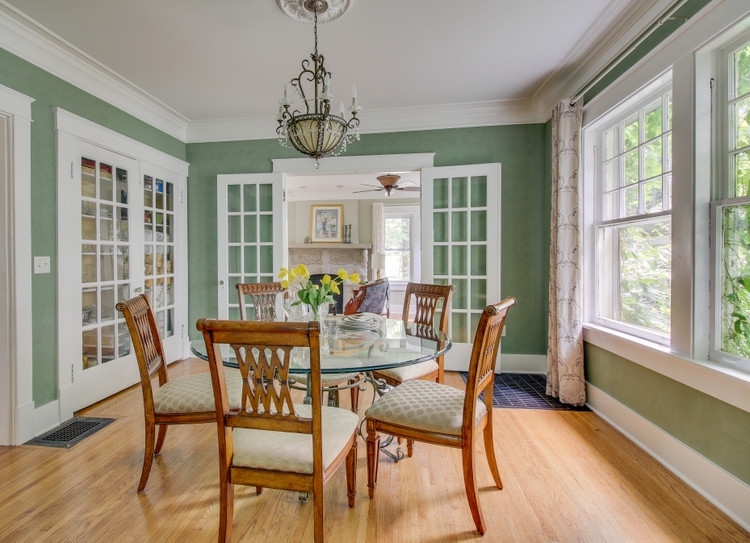 Neutral paint colors for historic homes results in a lackluster effect, at best. 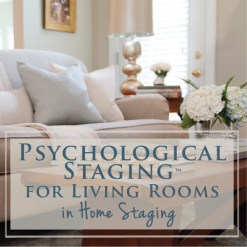 Last week, I certified the latest group of Expert Psychological Stagers™ in my three-day intensive home staging course. What an honor that they came from Arizona, Colorado, Florida, Minnesota, Texas, Kentucky, Florida, and Washington, D.C. to train with me! 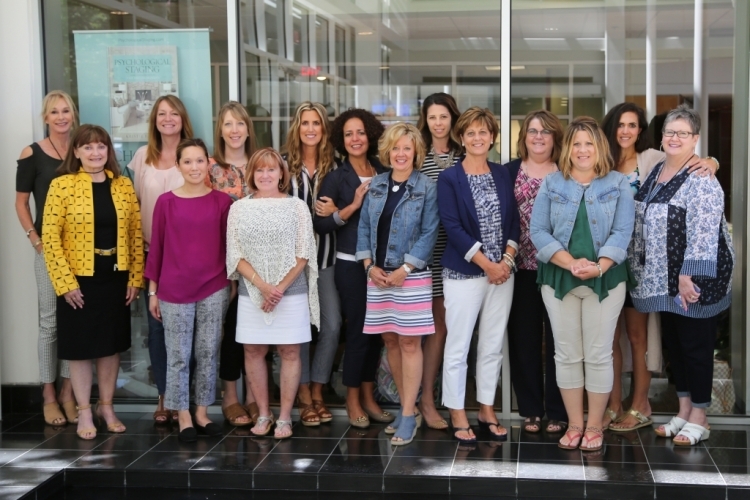 I loved being with this amazing group of women who are following their passion for staging and design! 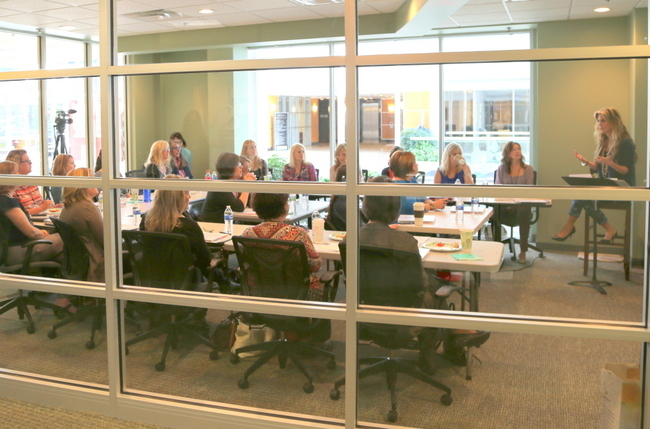 As part of their hands-on training, they actually stage an occupied property that is about to go on the market. It’s an invaluable way to make the training come alive and put into practice all the things they’ve learned! 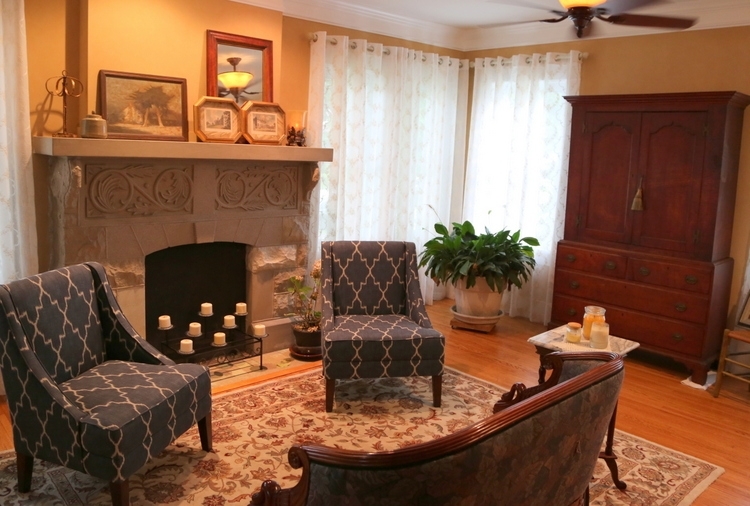 The house we staged this time is an historic bed-and-breakfast with tons of character. 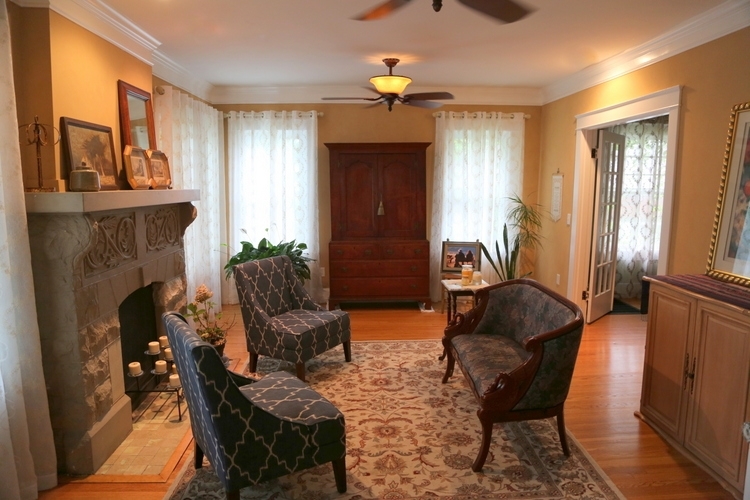 When staging historic homes, do you “update” the interior colors with today’s trendy grays, greiges, and beiges? 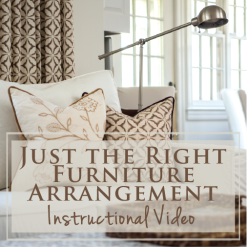 When staging a home to sell, you can’t always expect the homeowner to be able to repaint EVERY room in the house. 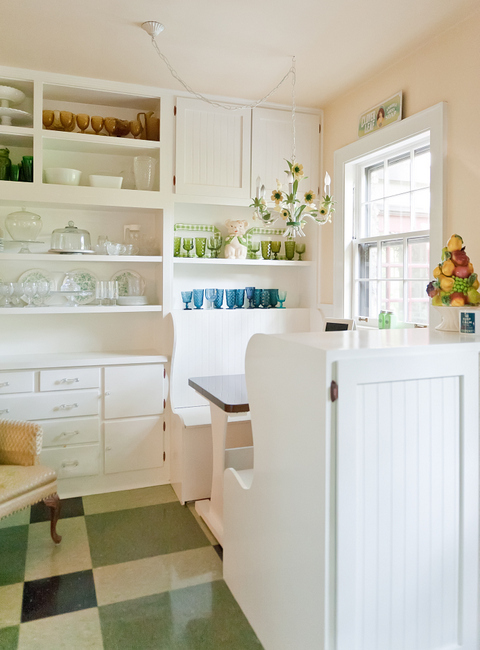 The goal is to make the most impact with the least amount of money, and painting rooms costs money. 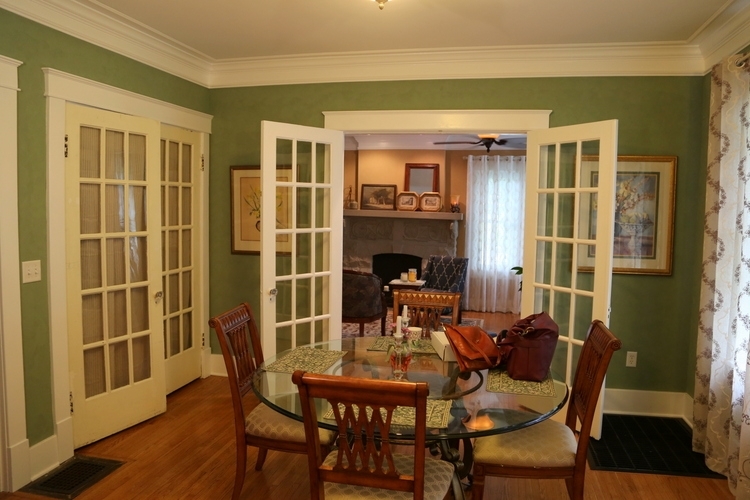 I recommended that these homeowners paint the living room (which you see upon entry to the home) a color that would flow nicely into the adjoining space (the dining room) prior to the day of staging. 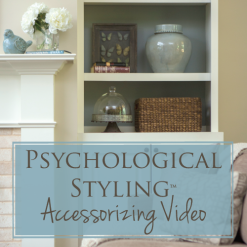 The gray-green color I chose for this room is from the Psychological Staging Paint Color Toolkit, which my graduates understand exactly how to use when staging homes to sell. 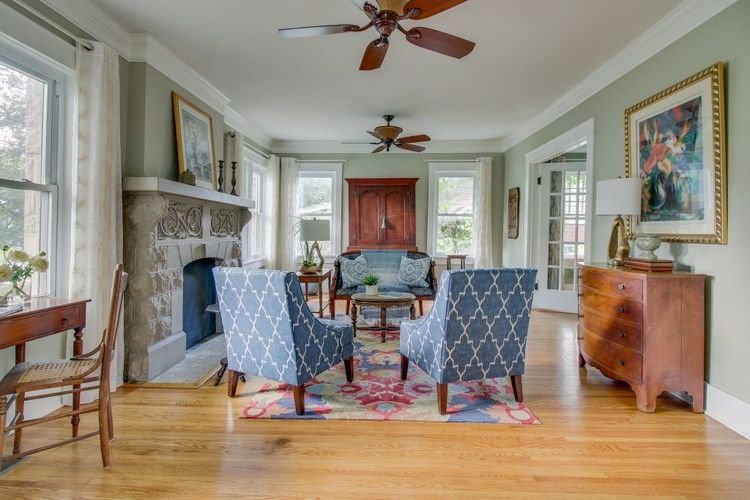 The new color puts the emphasis on the beautiful architecture of the room: the fireplace, the trim mouldings, the original hardwood flooring . 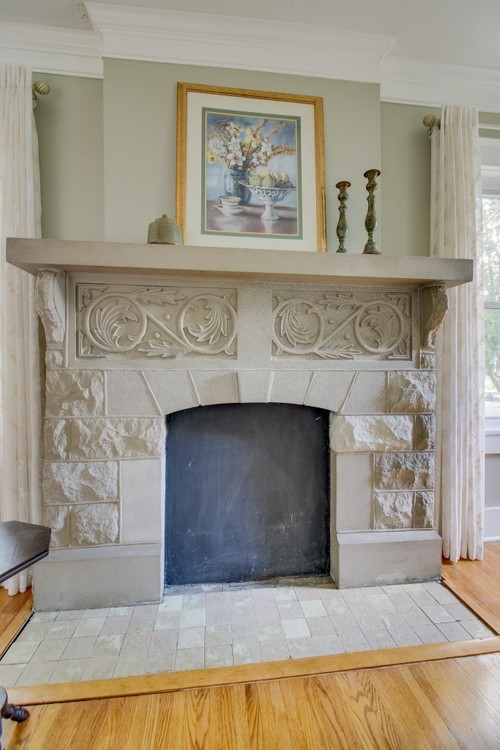 . .
I’m SO IN LOVE with that fireplace, and I believe buyers will be, too! They don’t make them like this anymore . . .
Wanna join in on the fun and start making money doing what you LOVE? 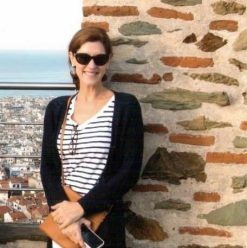 To find out more about upcoming EPS™ certification courses and see reviews from some of our recent graduates, click here. 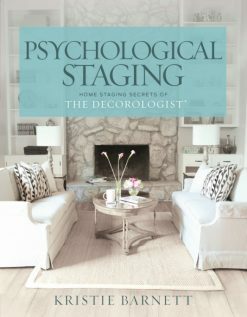 If you need to hire an Expert Psychological Stager for your listing, find one in your area here. What’s the Complexion of Your Home? 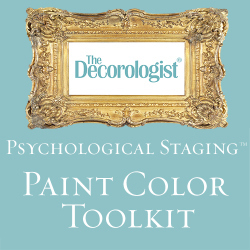 This entry was posted in Color Consultation, Expert Psychological Stager™(EPS) and tagged expert-psychological-staging, historic homes, home staging, neutral paint colors, staging-training, the decorologist. Maybe (Just Maybe) I’m Setting the 2018 Color Trends? The before and after photographs of this home are STUNNING- What a difference a complete and professional EPS staging makes in a property- and one that they will take all the way to the bank when they close! Thank you, Elizabeth! 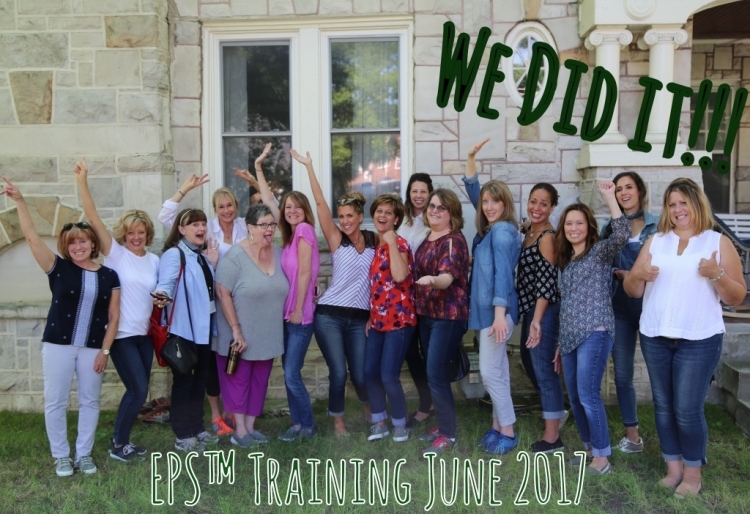 It was wonderful to have you as an EPS™ graduate assistant last week as we worked on this amazing home!!! Thank you, thank you, thank you! Every time I see a historic home done over in white, beige, and plain gray, I cringe internally. That and getting rid of all of the architectural elements that make these homes unique and charming. For the life of me I will never understand why someone would buy a historic home and then eliminate the very things about it that make it special. You hit the nail squarely on the head with this, Kristie! Also that gray-green was a fabulous choice. Fabulous color choice! 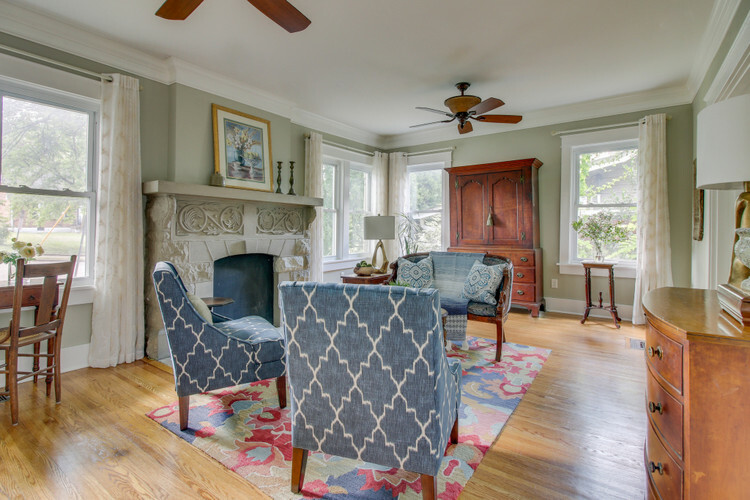 I’m actually recommending that some clients of mine paint the living room of their 1790 cape a similar blue/green (Ben Moore Wythe Blue) to bring out the reds in their Oriental rug while still freshening up their space. I love it, Amy! 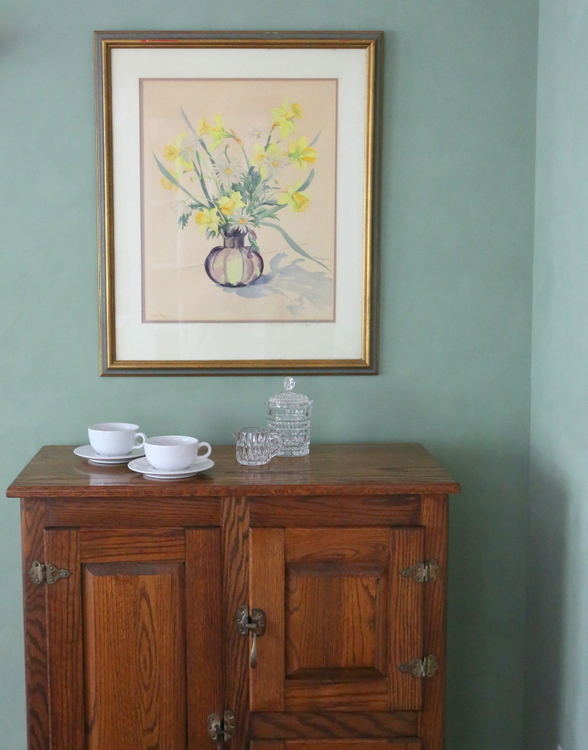 Wythe Blue is a fabulous and fresh historic color! Thank you!!! Although it’s all the rage right now, I think that painting the walls and trim the same color really downplays the architectural moldings. Color contrast is what makes the trim stand out. 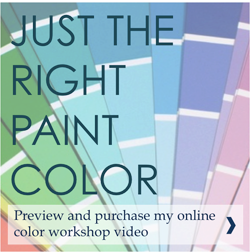 Let me know if you end up changing the colors – I’d love to know what you choose! Have a great weekend! I live in a 1963 two-story colonial style home. I have white moulding and doors everywhere! My fireplace is white (with red brick), and my walls are all neutral. I can’t imagine green, but I’d like to explore a new look for sure. I love the gray-green you used on this home. Can you please tell me what brand/color it is? My husband and I just bought our first place and I would love to use this color on my living accent wall. Thank you! 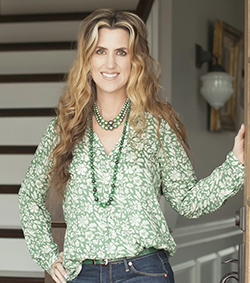 Hi Kristie, Why would you write a whole post on this grey/green color but not tell us what it is? Looks great, btw.